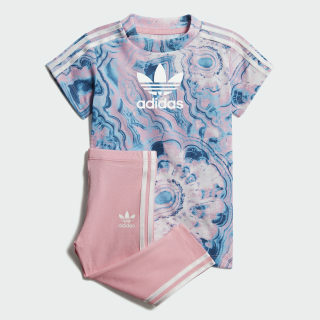 A tee-and-leggings set inspired by beach scenes. A laid-back beach vibe inspires this toddlers' two-piece outfit. 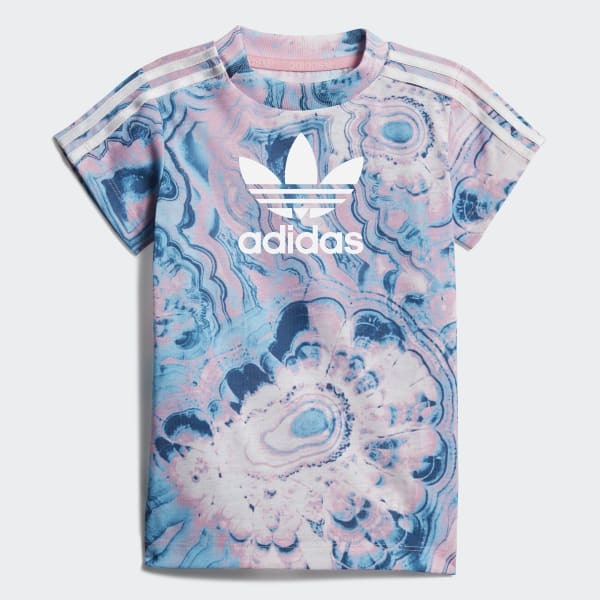 The colorful graphic print on the t-shirt looks like moving clouds or waves. Hidden snaps on the top make it easy to take on and off. Both pieces are made of an all-recycled polyester jersey for a soft feel.